THE DOWNIEVILLE CLASSIC delivers a weekend of racing and partying in the Lost Sierra featuring a 29-mile cross country race and 15-mile downhill with a 5,000 vertical drop. 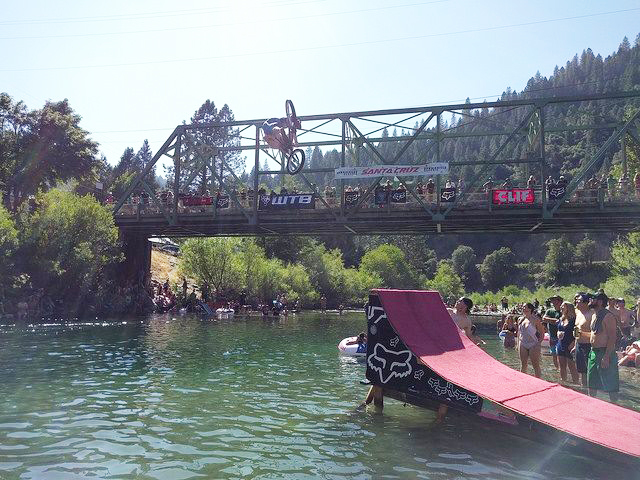 Downieville is infamous for its racers, and riders come to prove themselves hardened and unbreakable. Race or ride the epic cross country to the Sierra Crest and back to town, or take in a double dose with the seemingly endless descents of the Downieville Downhill in the All Mountain World Championships. Or just come to enjoy the bike festival for the weekend. Either way, you win. The Downieville Classic is part of the Lost Sierra Triple Crown — a series of events presented by Sierra Buttes Trail Stewardship (SBTS) that challenge athletes to the ultimate test of fitness and skill. The Lost Sierra Triple Crown also includes the Lost and Found Gravel Grinder, which took place in Portola on June 2, and Grinduro, coming to Quincy September 29. Proceeds go toward trail stewardship in Plumas and Sierra counties.